AmazoWorks – Dan Hollings Marketing Strategist :: Amazon Consultant, Internet Marketing Expert. 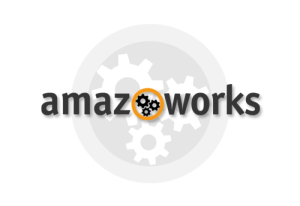 AmazoWorks is simply amazing! Everything you need to become a successful Amazon seller: amazing tools, services, How-To and resources… all under one roof and all backed by the AmazoWorks “Complete Satisfaction” guarantee. All AmazoWorks tools are proven winners, but we are constantly beta testing, always looking to provide our members with an unfair advantage over the competition. YES, as an AmazoMember you’ll benefit from our successful track-record and our constant innovation. We’re in the trenches, just like you and understand this business inside and out.